Donovan was remembered for his professionalism and personal touch. NAPA, CA: The PR industry is mourning one of its best-known technology experts, Ryan Donovan, who died last week at his home in Napa, California. Donovan would have turned 53 in May, according to Vanessa Yanez, worldwide head of print communications at HP Inc. He was preceded in death by his husband, Tom Pope, who passed away in 2015. Yanez, a friend and colleague of Donovan’s, called him a "life force." "He made it his business to get to know people on a level that made them feel like they were part of something greater," she said. Donovan was most recently San Francisco office head at Ruder Finn. 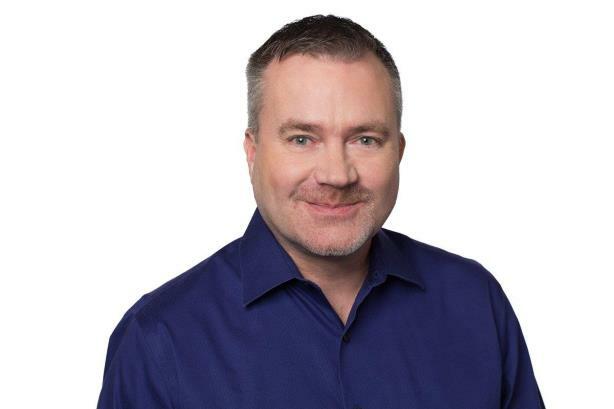 He previously served as VP of corporate comms at Sitecore; SVP of comms at Visa; senior director of corporate marketing at SanDisk; and director of influencer and community relations for the Americas at HP. "Ryan was a consummate communications professional who pushed all of us to be better by raising the bar," said Jennifer Temple, chief communications officer at Hewlett Packard Enterprise. "He was a devoted friend. He had a wonderful ability to connect people across time and distance, and I’ll hear him in my ear as I try to pay his gifts forward." Donovan was a seminal figure in the history of Text100, which he joined in 1998 as San Francisco GM. The firm was combined with fellow Next Fifteen agency Bite last year, and the combined agency was rebranded as Archetype last month. Former Text100 CEO Aedhmar Hynes said she spent a year trying to recruit Donovan over "many dinners" and "many glasses of wine." At the time, Donovan was skeptical a startup could succeed in the highly competitive market of tech PR, Hynes said. "While he was a terrific PR pro who worked incredibly hard and was committed to clients and the craft, he never took himself too seriously," Hynes recalled. "He always brought fun and adventure to the business." Yanez added that the life Donovan built with his husband was one of "fine dining, hosting friends, Broadway plays, movie club, traveling the world, and occasional rollicking games of Heads Up," she said in a statement. Donovan was part of Text100’s pitch team for IBM, a large account that would stay with the agency for 17 years. He built the Text100 San Francisco office from a seven-person shop into a 55-person location, and was promoted to oversee Boston and Silicon Valley, as well. Mark Stouse, chairman and CEO of Proof Analytics, met Donovan in 2003 after HP acquired PC-maker Compaq and was struck by an "extremely vibrant person." Stouse said Donovan had the rare ability to have high standards and be loved by his colleagues. "In the end, what he’s going to be remembered for is the personal touch, as we all will be," Stouse said. "Everything else kind of burns up in the end, and what you’re left with is the human being." Ruder Finn CEO Kathy Bloomgarden noted that Donovan was both a colleague and a client when he worked in-house at HP. "Throughout our time with Ryan, he always brought great enthusiasm for our field and showed a knack for pushing himself and others to think out-of-the-box," she said. "Our condolences and prayers go out to Ryan’s family and friends. He will surely be missed."